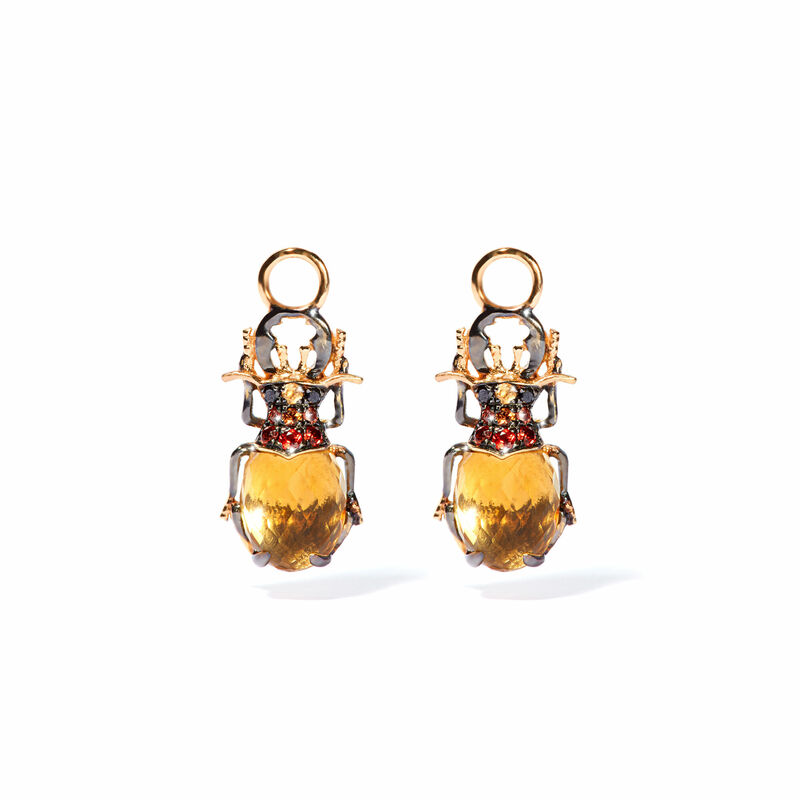 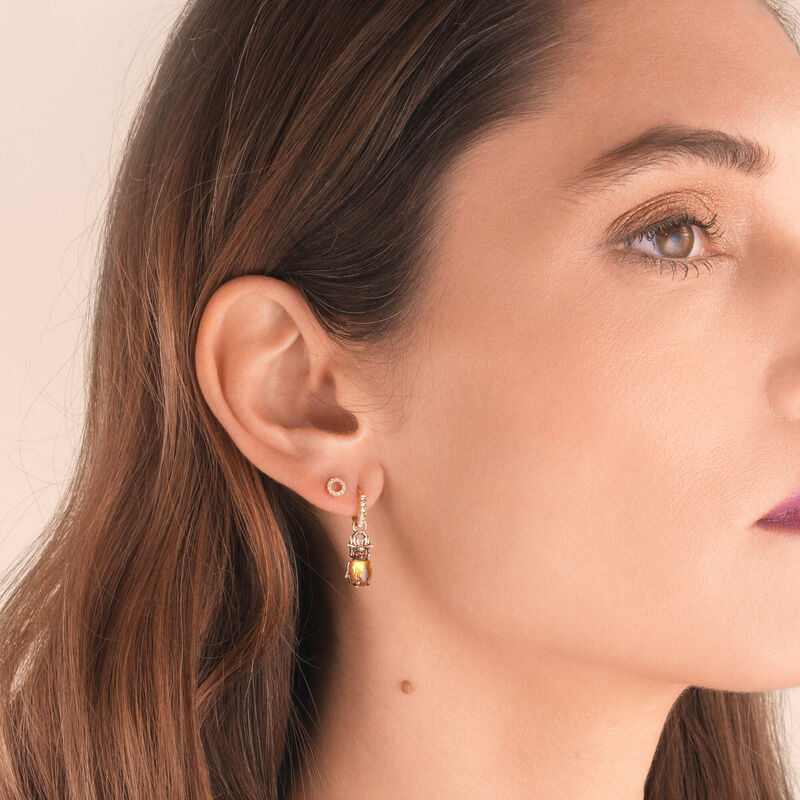 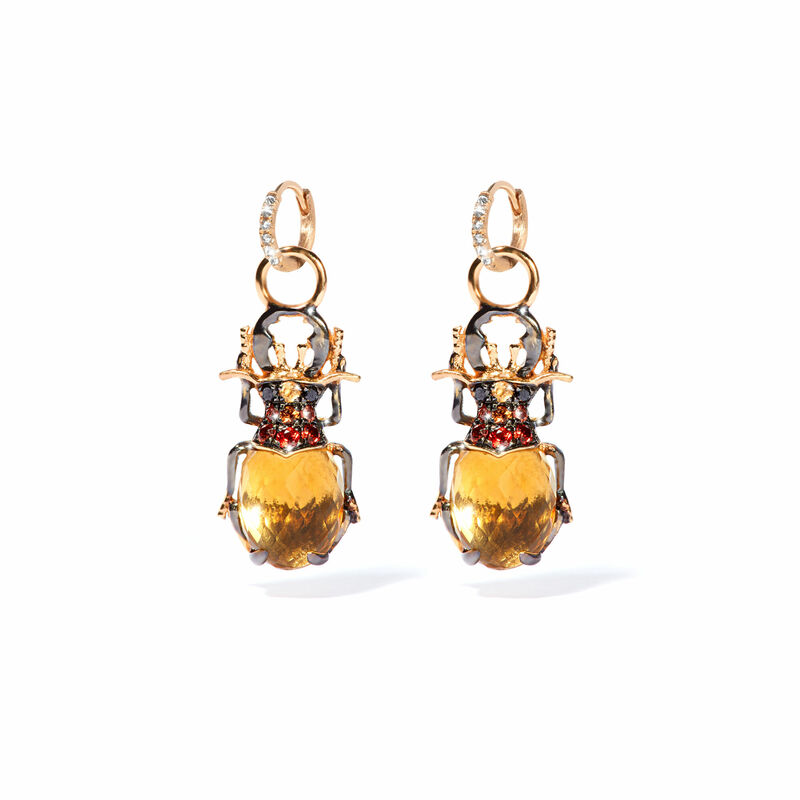 These 18ct yellow gold beetle earring drops are created with bright citrines, 0.12 ct orange sapphire bodies finished with 0.02 ct black diamonds. 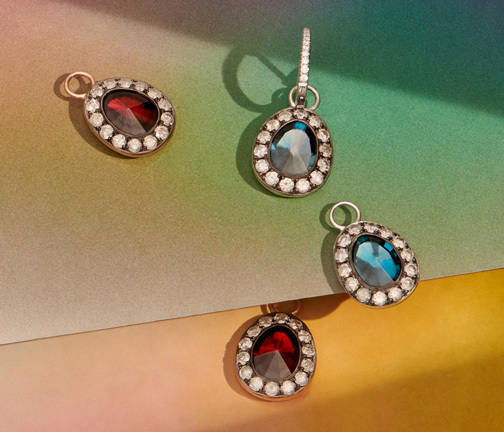 Style on a pair of our Dusty Diamonds 10mm hoop earrings as shown pictured to complete the look. 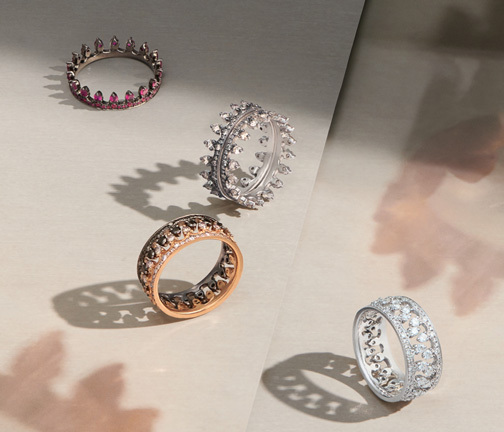 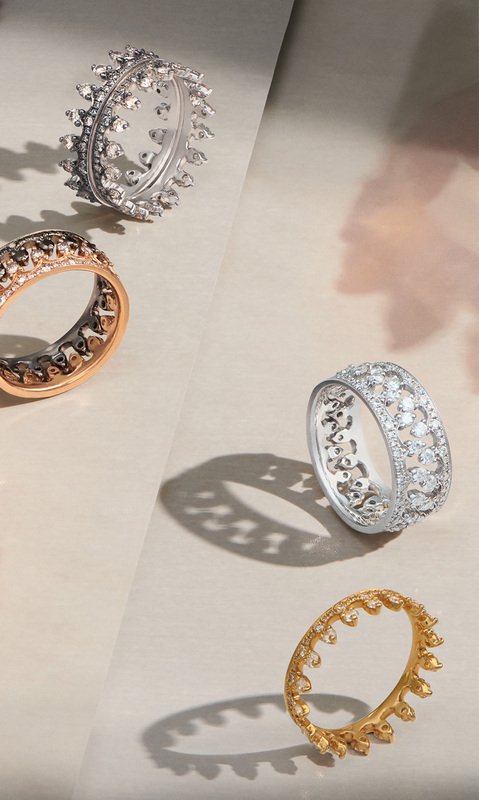 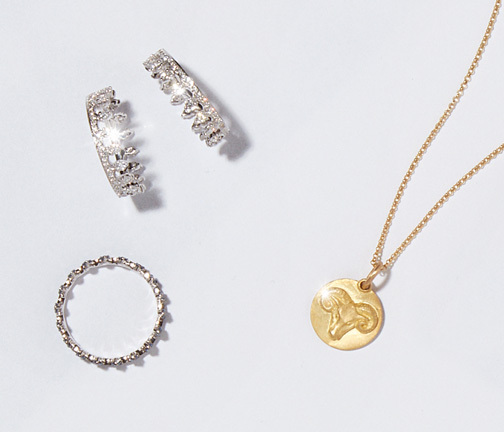 These enchanting designs are also available in amethyst and blue topaz with matching cocktail rings and pendants.